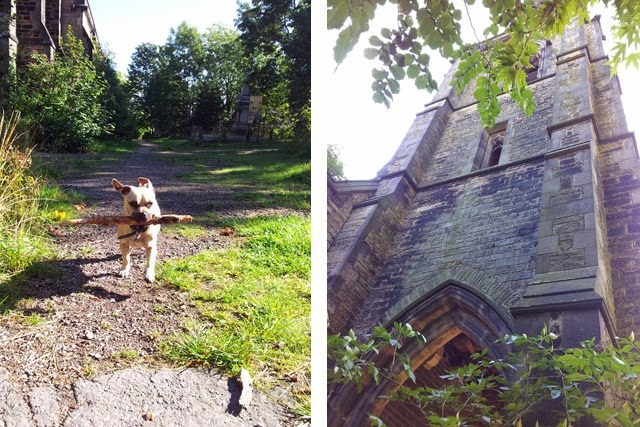 One of my favourite local historical spaces is somewhere I've written about before, the General Cemetery in Sheffield and whilst it might sound crazy to have a cemetery as one of your favourite spaces, it's just so pretty that I can't help loving the place. It's also, being a cemetery, full of history, which for me is just wonderful. There are so many interesting graves, beautiful monuments and every time I go I discover something new. Plus the light in there is amazing, as are the blackberries in September! The cemetery was closed in the late 70's as it was full, and since I started walking Flash there the chapel that stands at the entrance we tend to go in through has been derelict, but in the last few months there has been work started on restoring it which makes me happy, not because I am religious, but because it's a stunning building that deserves to be restored. I just hope that they get the funding to do the Mausoleum next. I also love that there is a trust that looks after the place. We often see people working at the weekend on the wilderness that seems to try and reclaim the cemetery, on the first Sunday of the month there is a historical tour (I'd recommend the remembrance day one) I also love that there is an interactive map on the website so that you can take a tour yourself and see where the interesting graves are. 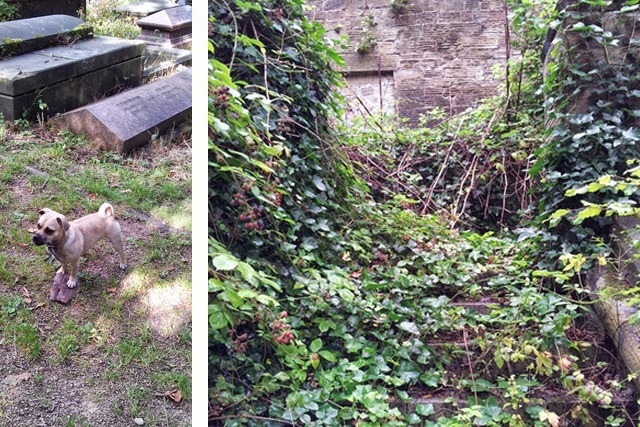 I love cemeteries and graveyards so much, they're such interesting and beautiful places. I don't know if you've ever been to Glasgow, but the Necropolis is absolutely breathtaking - it's a huge graveyard perched on a hill above the cathedral. I've never been to Glasgow, but that sounds awesome. And the name is so wonderful too. Definitely give it a visit, your hubby will love the photography spots I am sure. I love how overgrown people have let them get and how much wildlife they harbour! Oooh I love a good cemetery! Me too, do you think it's creepy of us? Ooo that looks a fascinating place. 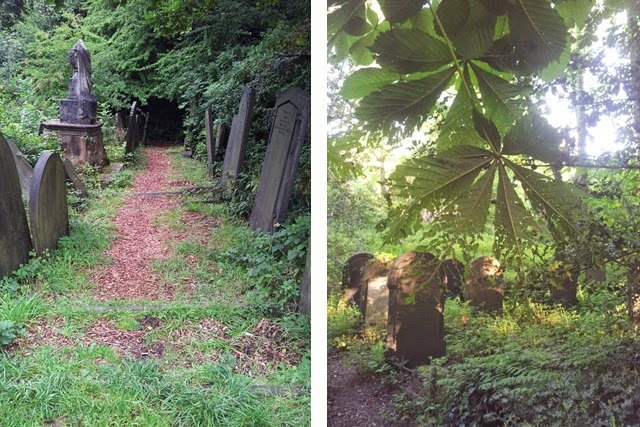 In the rural town I grew up in there is an old cholera graveyard which was really small and forgotten about, until some teenagers turned it into a nature reserve and with the help of the council created paths and such, it's lovely now. You don't think of teenagers doing wonderful things like that for the community do you (I just drank 20:20 and chatted back to my mum). Cemeteries can be so pretty. There's one near me here in Manchester but I haven't gone yet. I need to explore my new home town more! Do it, explore and then report back! Please. Thank you. 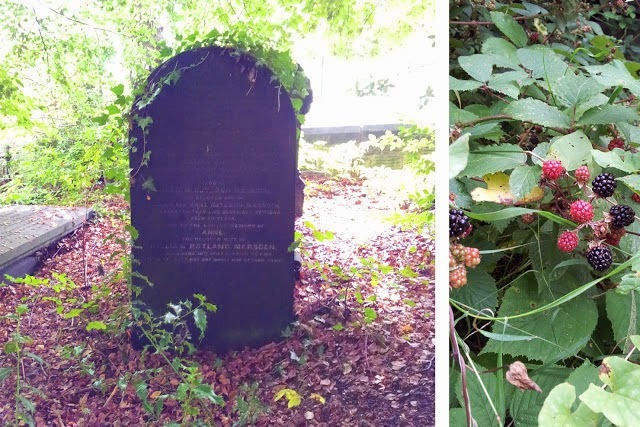 I used to live overlooking another beautifully overgrown cemetery in Leeds. The history of them is great isn't it. I love a good graveyard, looks like Flash is a fan too! Every time I see that pooch I want to smoosh his handsome little face. 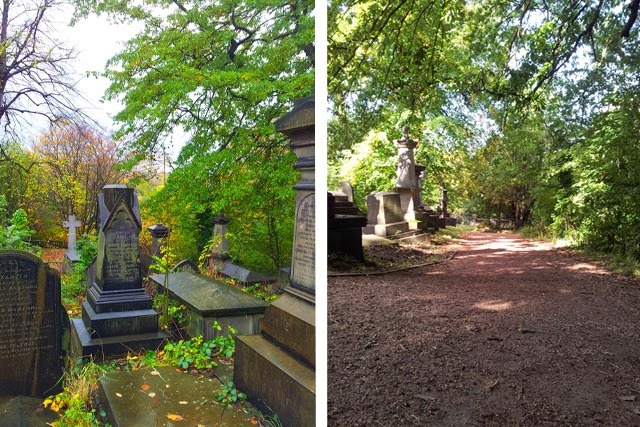 The general cemetery was originally built as a place of beauty, so I think they've achieved their goal even after all these years!